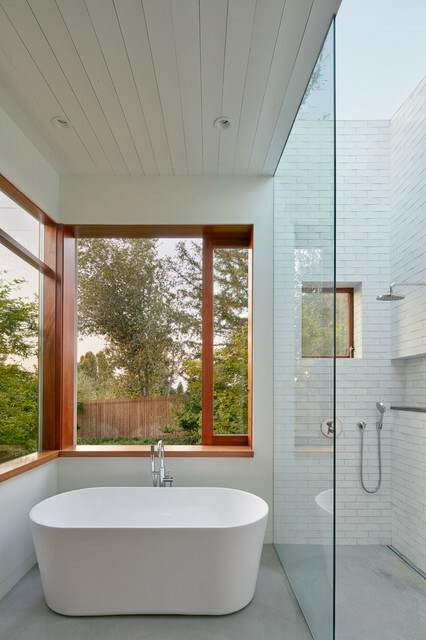 In the master bathroom, a skylight above brick-like tile gives an outdoor-shower impression. A barn door above the tub can roll open to give a similar outdoor experience. Shawn - love the grey floor with white subway shower tile.